How to Sell a Salvage Car for Cash. 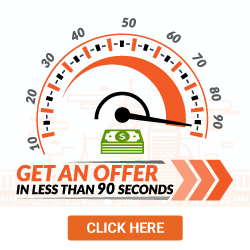 Get an Offer in 90 Seconds! Sell a salvage car in 24-48 hours! We offer free towing and pay you on the spot. See how much your salvage car is worth by entering your zip code below! Your insurance company may have declared your vehicle a total loss and the adjuster is starting to talk about “salvage values.” On the other hand, perhaps you have been driving a car with a rebuilt salvage title or your car has a salvage history and now you want to sell it. Hearing the word “salvage,” is not necessarily a bad thing. The good news is there is still value in your car! 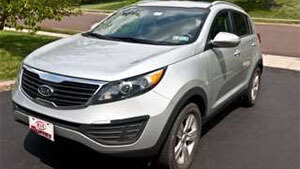 You can actually find out how much you salvage car is worth right now. Selling your salvage car can actually be profitable! The word salvage may bring to mind things like a total loss, or just a junk car not worth anything, but we can give you an offer based on the market value of your car. 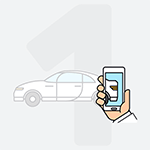 Based on your vehicle details and location we will give you the best, guaranteed offer for your auto, no matter the condition. We do! If you are looking to sell your damaged car or to sell a wrecked car, please click on the button below. You can check the price we can offer you for your car. The key to financial freedom is taking advantage of all opportunities to profit, however unlikely they may seem. A severely damaged car may not seem like a gold mine, but it will indeed be valuable if you salvage it. Obtaining a salvage title makes selling a wrecked car for a good price much easier. What's the process of how to salvage a car, though? In most states, the vehicle owner can retain the salvage, which means, you can keep your wrecked car and sell it on your own. Your insurance company may use an average salvage value from a salvage auction or call local junk yards to get a salvage bid. It may pay to shop your salvaged vehicle yourself. A salvage title is an official brand that is applied to cars that are severely damaged. It indicates that the insurance provider who covered the car has deemed it a total loss. In practice, this means that while it is technically possible to fix the car, the damages are so great that repairs will be nearly as expensive as the original price of the vehicle. 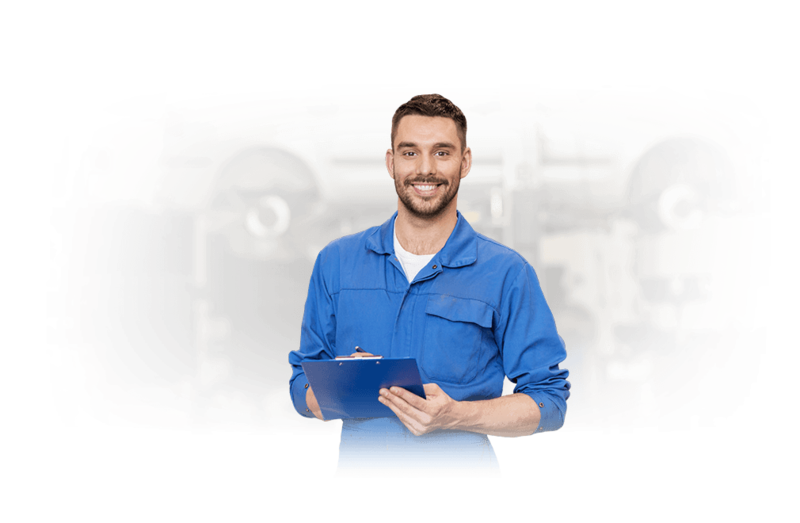 This does not necessarily mean that it isn't worthwhile to fix and try to sell the car; the owner may well be able to recoup a large portion of the car's value by doing so. It does mean, however, that insurance companies cannot continue covering it and expect to make a profit. Rebuilt vs. Salvage Title: What's The Difference? Rebuilt and salvage vehicles are both cars that have been restored from catastrophic damage, but there are some crucial differences between the two. The main difference is that whereas rebuilt vehicles have already been restored to working order, salvage cars still have some damages that have not yet been addressed. 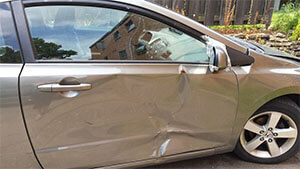 The buyer of a salvage car will have to fully repair these damages before operating it on public roads. 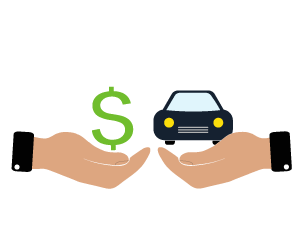 By contrast, the buyer of a rebuilt car can finance, insure, register, and drive a rebuilt car without making any further repairs. In some states, it is also illegal to sell salvage cars to private individuals, but this is not the case with rebuilt cars. Make sure to check your state's laws before attempting to sell someone a salvage car. How Much Value Do Salvage Cars Lose? Although the specifics vary by case, a car's damages usually must be worth around 75% of its original value for it to get a salvage title. If the damages are significantly less expensive than that, it may be profitable for insurance companies to try to fix it. Damages that are significantly greater, on the other hand, may render any type of repair impossible. Such severely compromised cars are issued "junk" titles and may only be sold for parts. In order to obtain a salvage title for your car, you must first apply for it at your local tax office. You can obtain an Application for Salvage Title form from the office or online, and the DMV will answer any specific questions that you may have. Submit the application along with the car's initial certificate of title and any processing fees. The tax office will assess the extent of your car's damages and issue you a title. Can you sell a car with a Salvage Title? 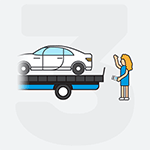 Although the specifics vary by state, most jurisdictions require sellers to make the car's salvage status clear to all prospective customers before they begin discussing the price. If you fail to disclose this information, you could face a lawsuit from the buyer if something goes wrong, and you will also incur misdemeanor charges for criminal neglect. The more information you provide the salvage car buyers, the easier it will be to win their trust and avoid legal trouble, and the easier selling a salvage title car will be. 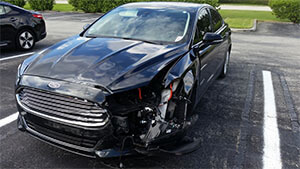 Complete DamagedCars.com’s quote request today and let us give you the highest value for your salvage vehicle. We guarantee our offers so you know the exact amount of our payment. All we need is your title, vehicle and keys and we will pay you on the spot. Our offer may be higher than the salvage value your insurance company is telling you. If you decide to keep the salvage, the insurance company will issue you a check for the market value of your totaled car, less the salvage amount they were given. Salvage car buyers might be more common in one state than the other, and the salvage value for cars can also vary by location. This makes selling a salvage vehicle different based on where you are. The best part about DamagedCars.com is that we operate nationwide! We buy salvage vehicles close to you, and have a network of junkyards who operate to tow your vehicle fast! 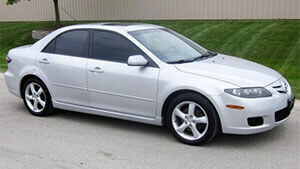 If you need money for salvage cars, you've found where to sell your salvage vehicle. You can take an insurance company's check, then turn around, and sell your salvaged vehicle to DamagedCars.com giving you the profit and not the insurance company. This is the best way to get cash for wrecked cars. 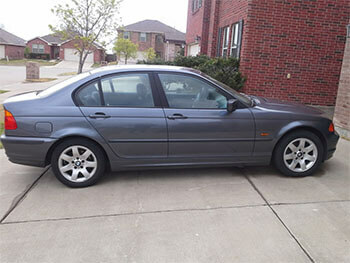 DamagedCars.com takes all of the hassle away of trying to sell a salvaged vehicle. 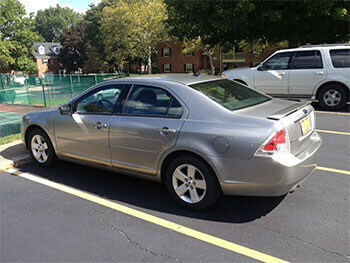 We will get it picked up and moved for you, handle the title transfer and we can even work with your financial institution of you have a lien on the vehicle. We're often the best place to sell a salvage car. Get your guaranteed offer today.